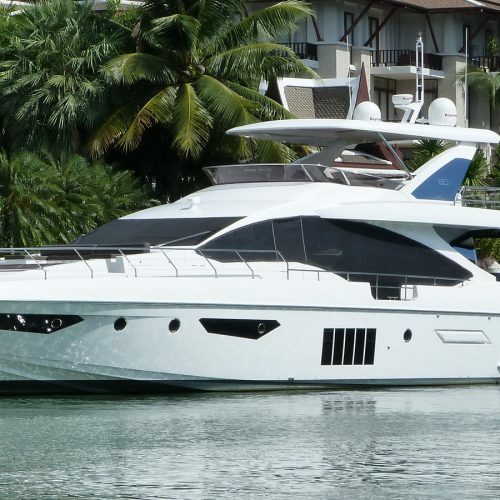 This single owner, 2015 model year, Azimut 80 presents in beautiful condition and has been in the care of a full time crew of two since new. 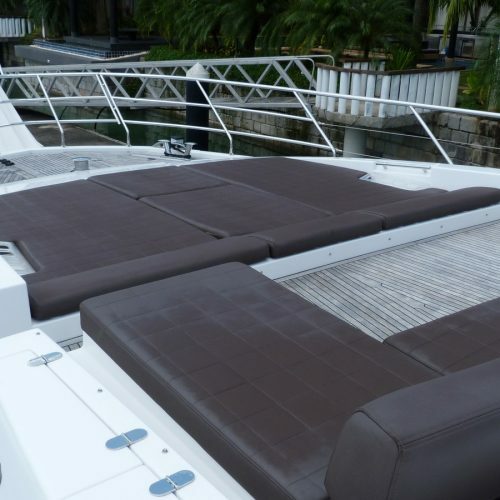 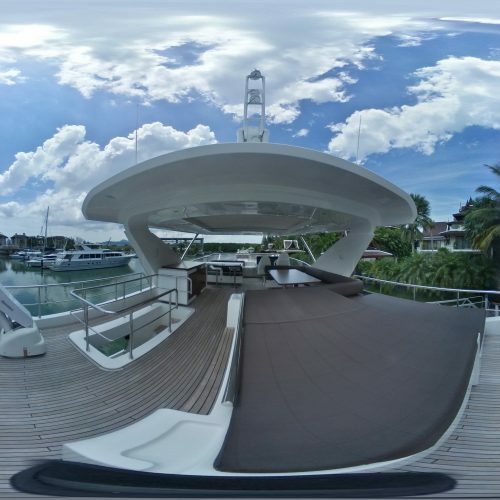 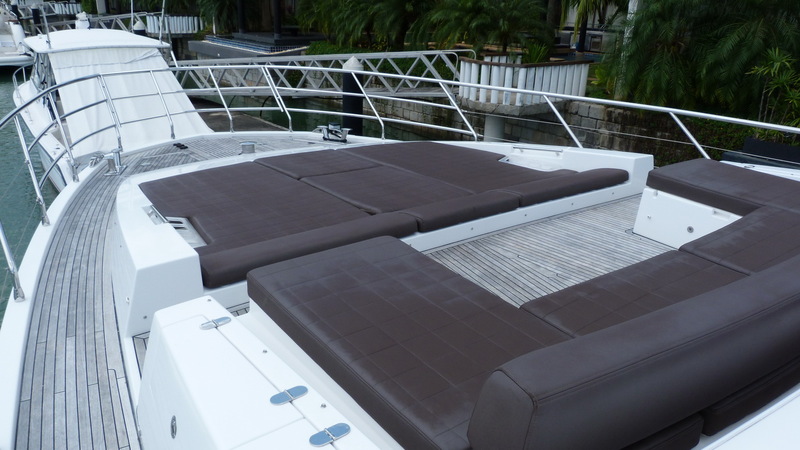 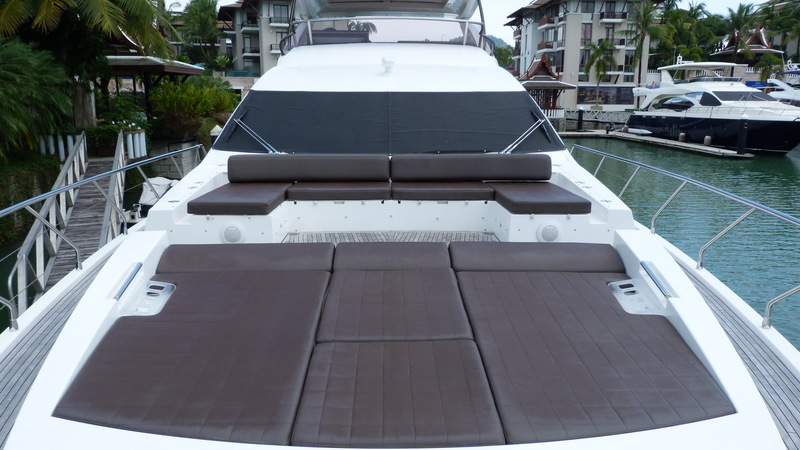 There is plenty of outdoor entertaining space with a large sun lounger and seating on the bow. 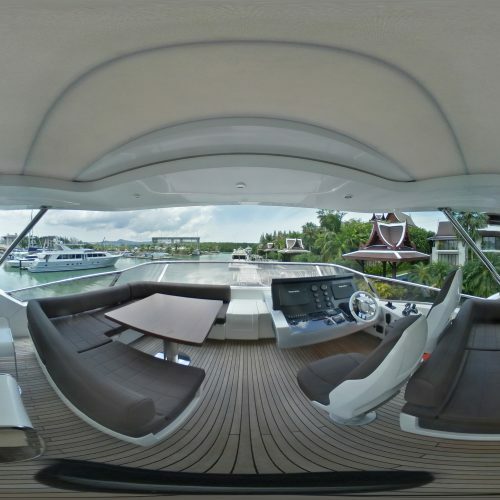 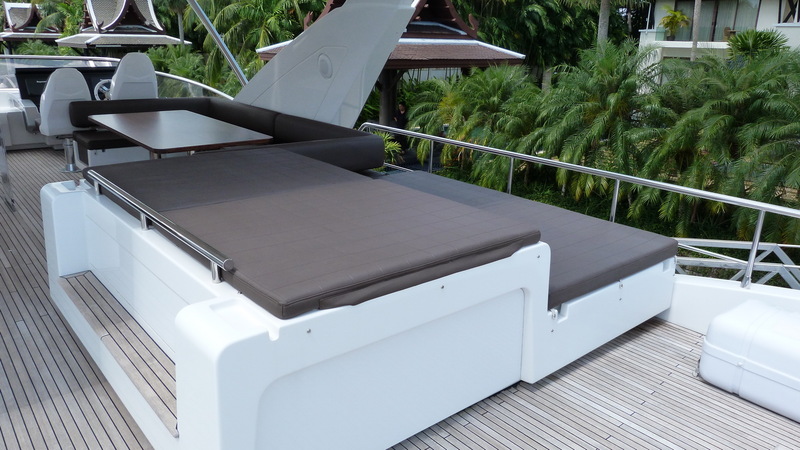 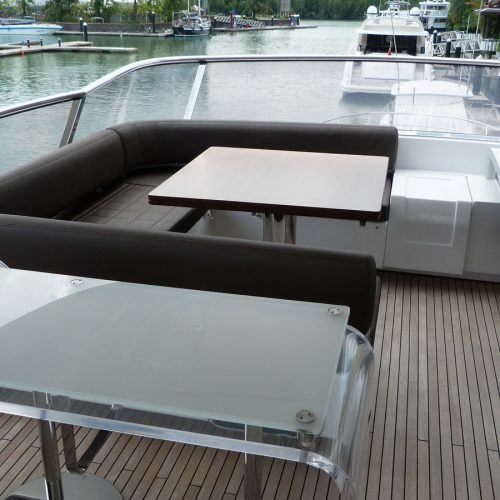 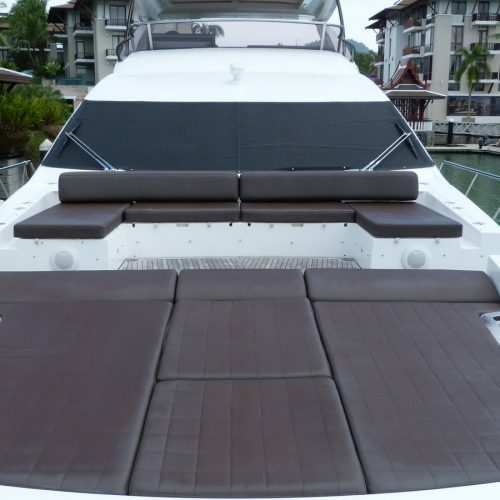 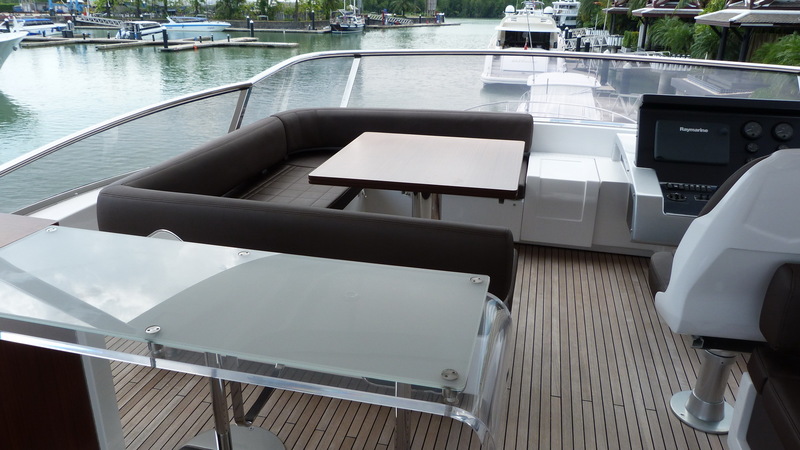 On the flybridge there are two separate seating and dining tables served by a large wet bar and another two double sun loungers with storage below. 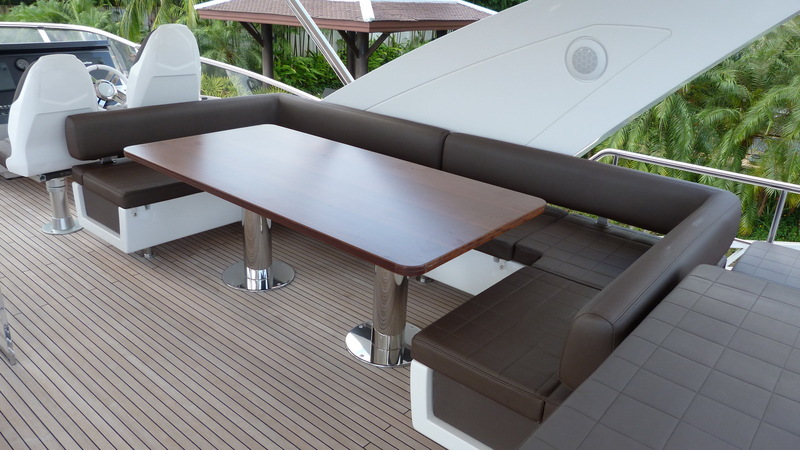 Down in the well shaded cockpit there is another dining table with its own wet bar. 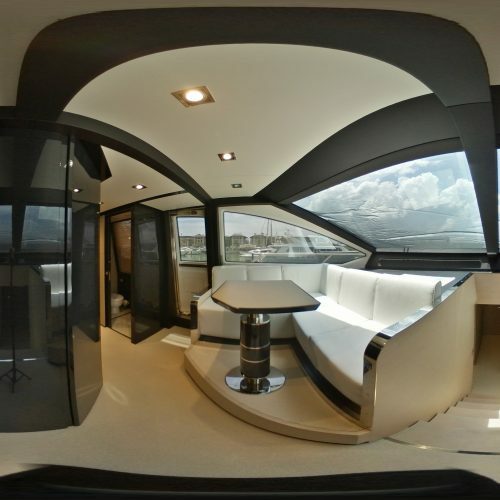 The sumptuous interior has a bright modern style and huge volume. 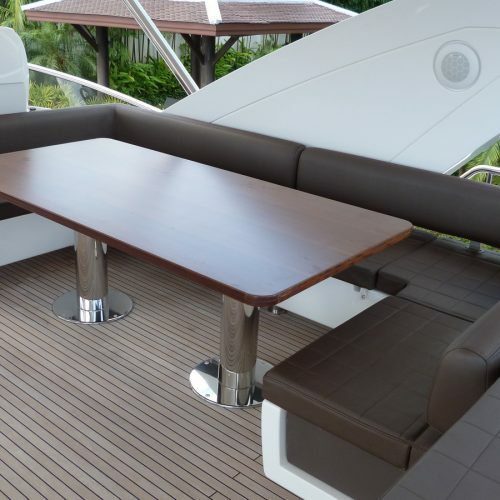 The main deck is laid out with a lounge dining room, separate galley, day head and coffee corner opposite the helm station. 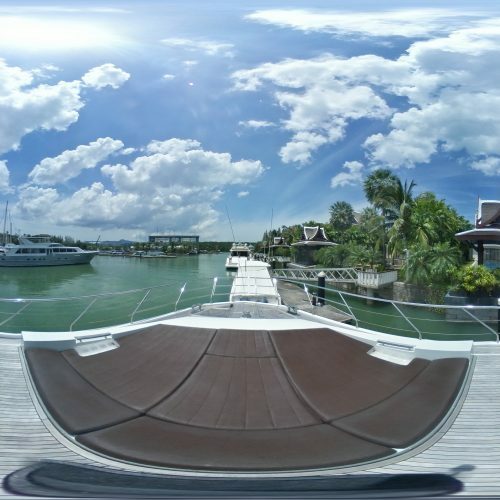 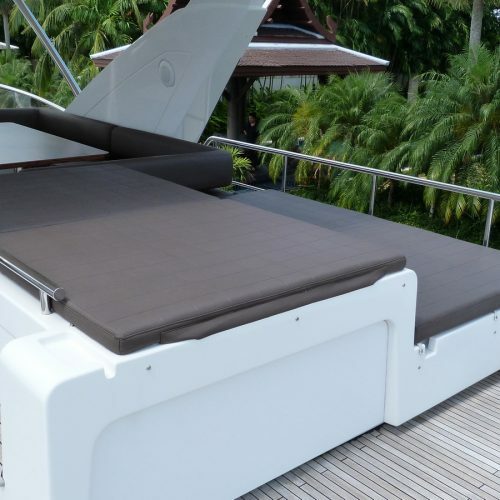 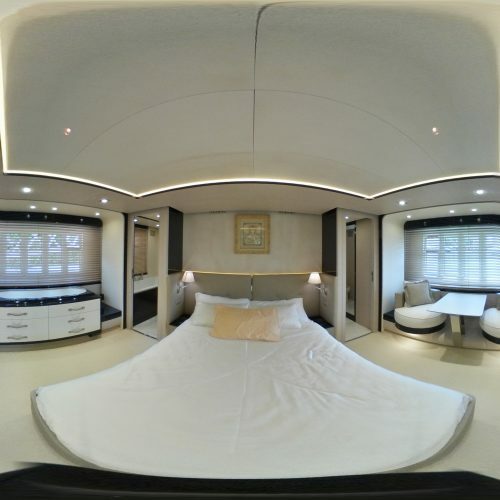 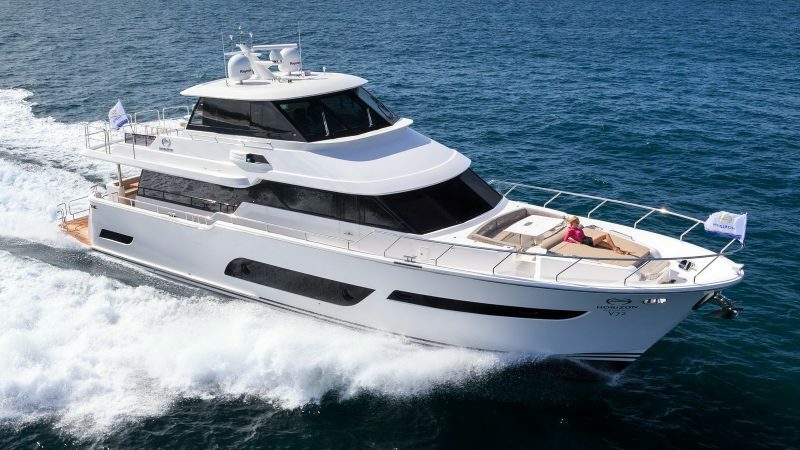 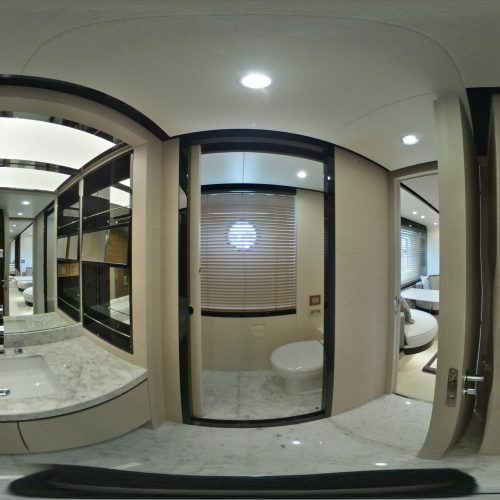 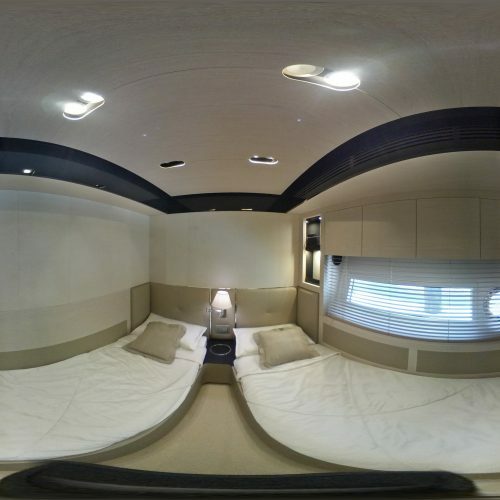 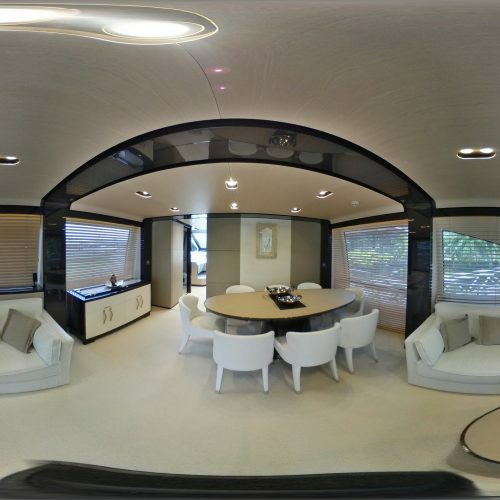 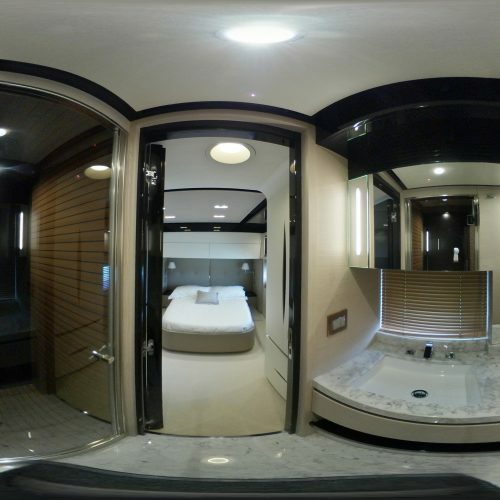 Down below the accommodations feature a 4 cabin, 4 head layout with a double VIP forward, double guest cabin to port and a twin to starboard with the full beam owners cabin in the centre of the boat. 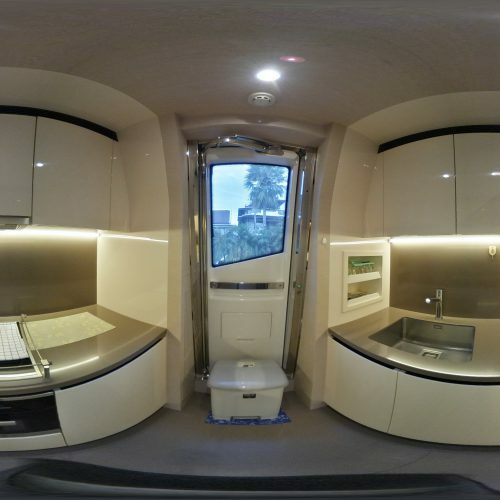 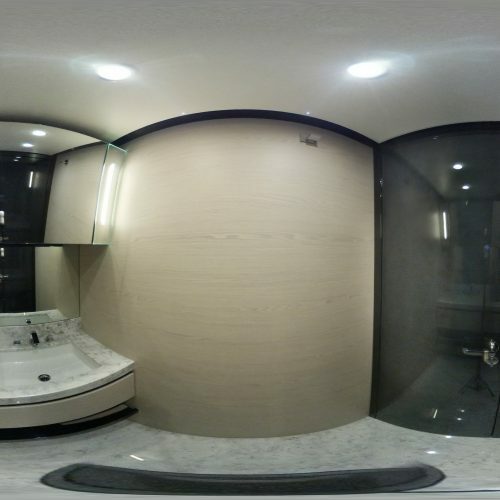 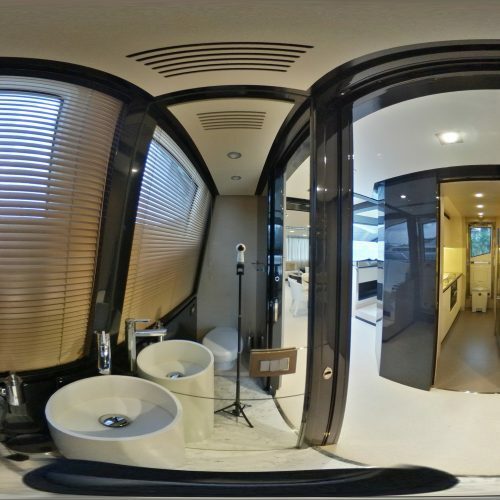 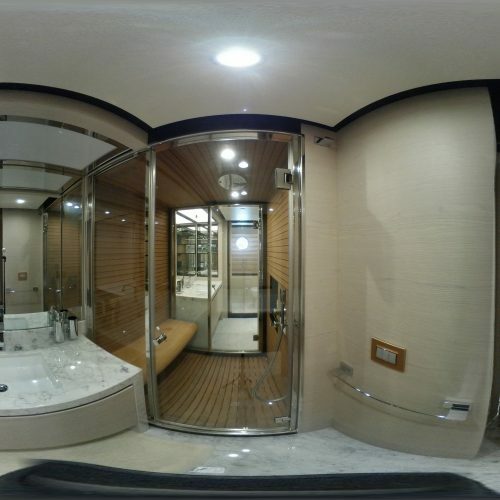 The full beam head has dual access, two separate vanity units, a huge central rain shower with access from two sides, toilet, bidet and even a bathtub. 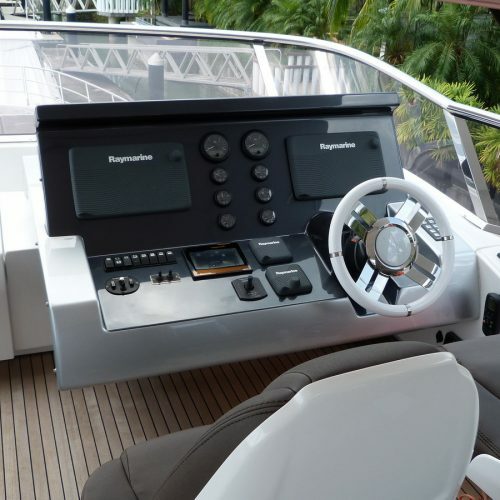 The upgraded and very powerful 1,800 horsepower MAN V12 engines can take the boat up to 31 knots and have just less than 500 hours recorded. 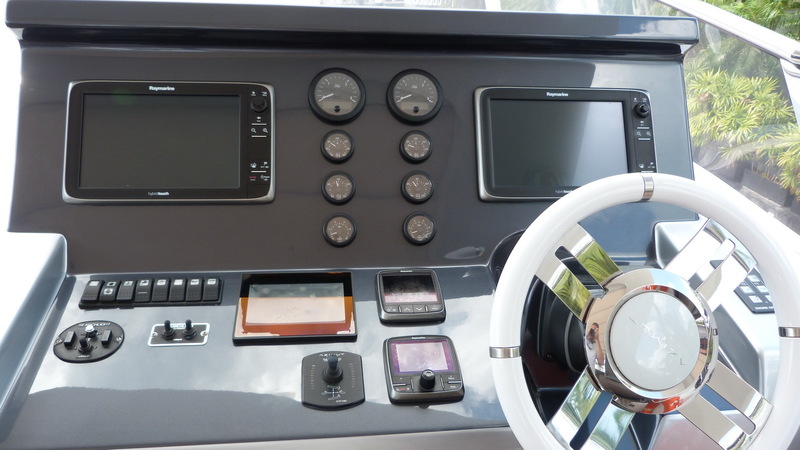 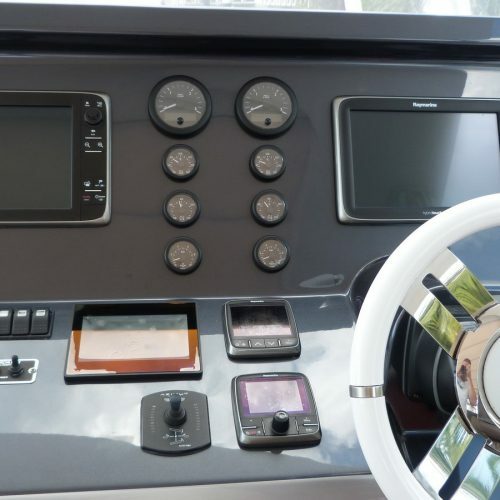 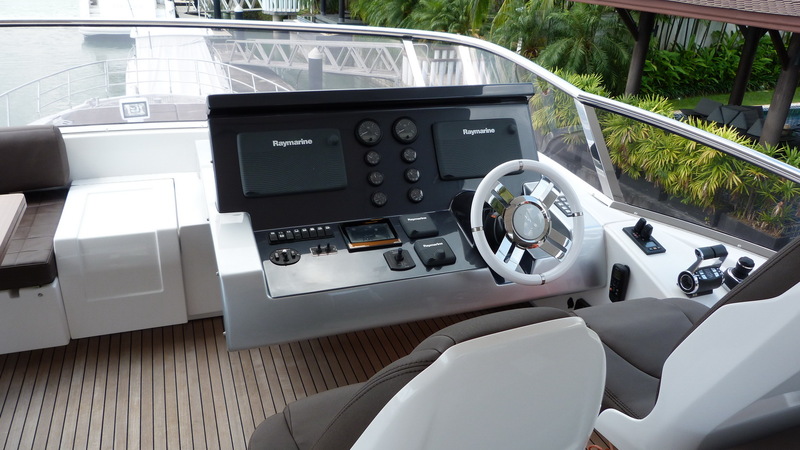 Stabiliser fins and full tropical air conditioning as well as twin 20 kilowatt generators add to the comfort. 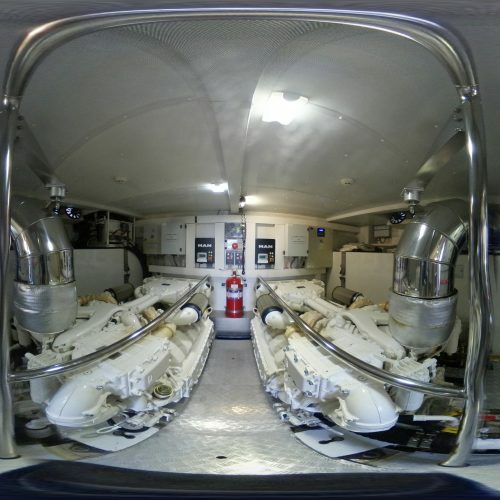 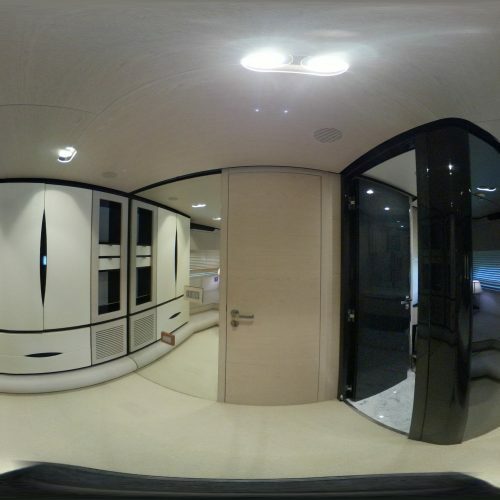 There are two single crew cabins with a shared head aft of the large engine room. 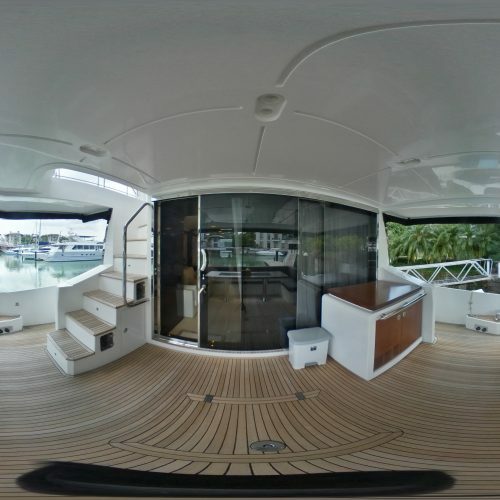 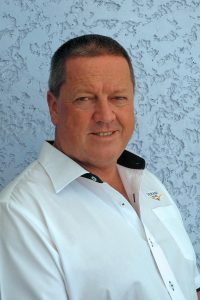 The hydraulic swim platform handles the ZAR ZF3 tender with 60 hp Suzuki engine and the Opacmare crane on the flybridge handles the jet ski. 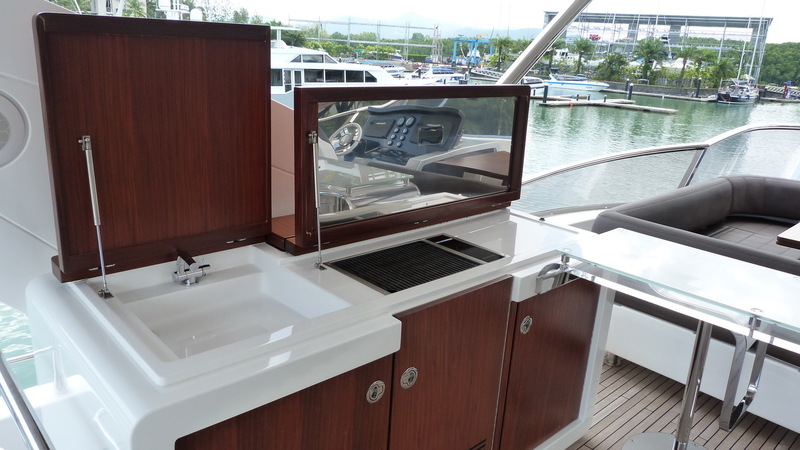 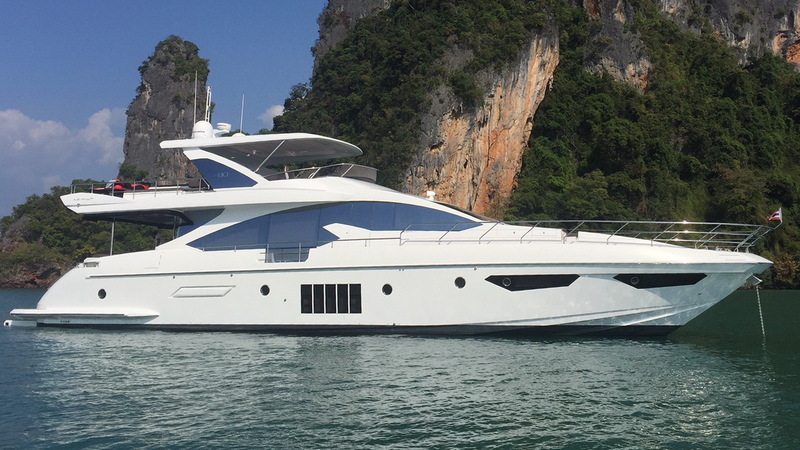 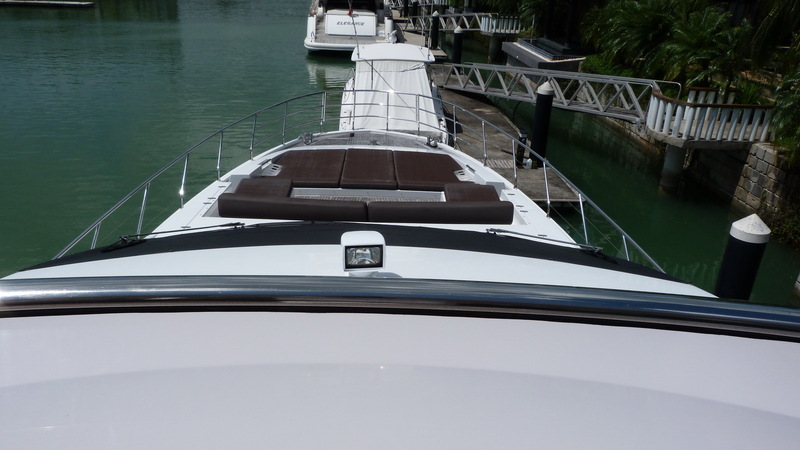 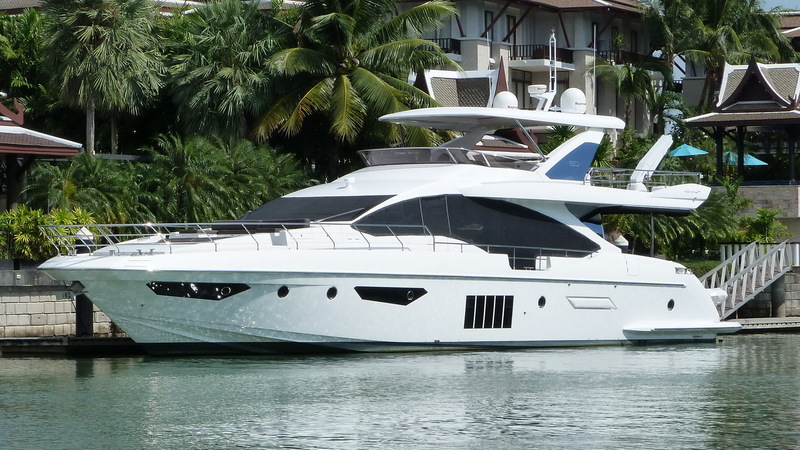 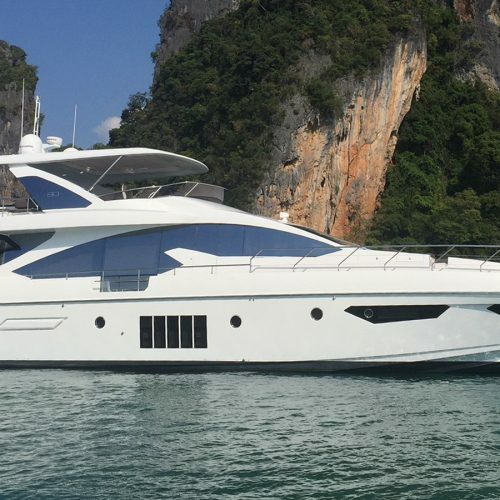 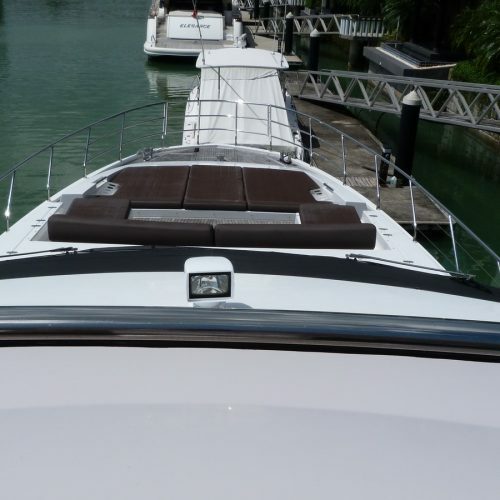 This Azimut 80 is in superb condition and ready for immediate delivery. 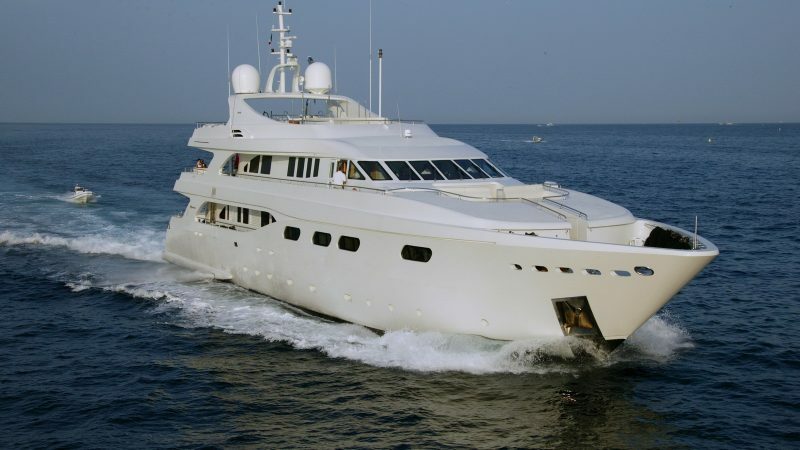 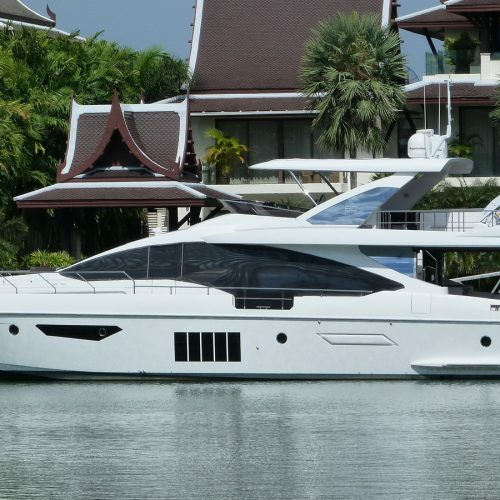 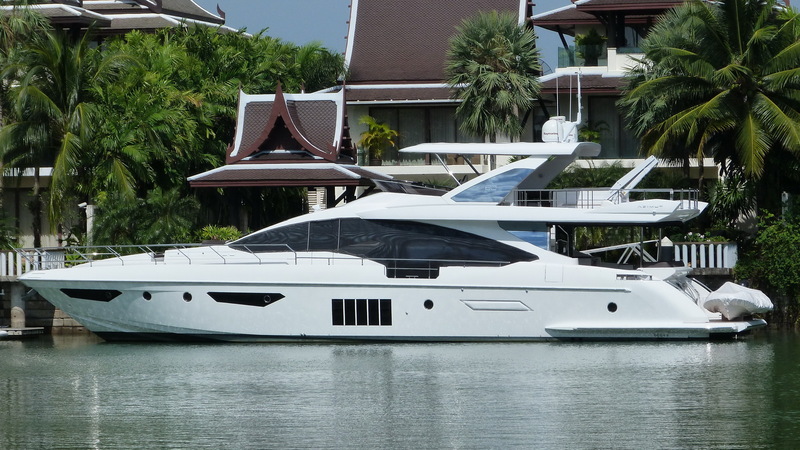 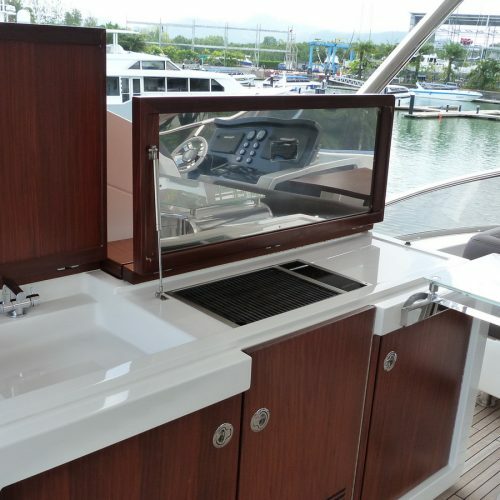 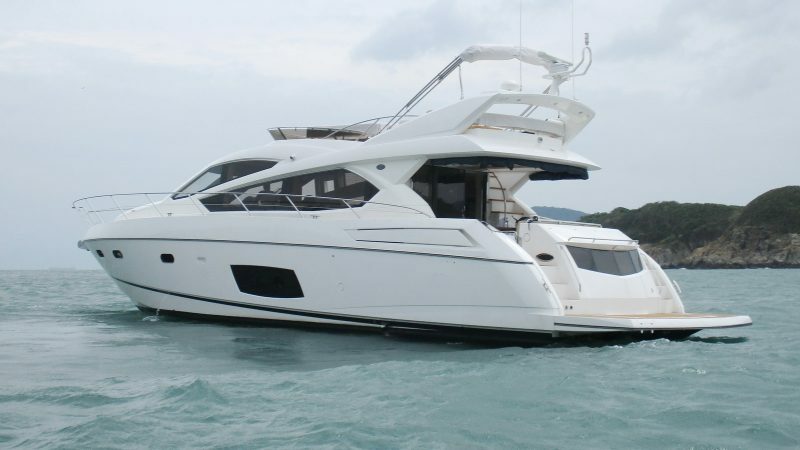 It is ideal for entertaining or extended cruising with a large family.